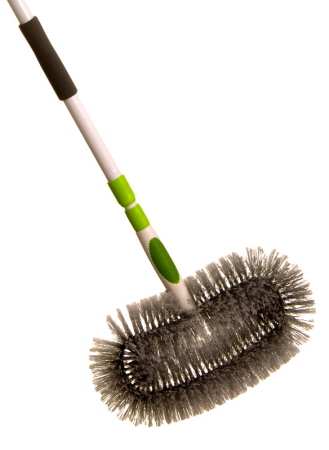 The domed shape 1.5m telescopic handle allows for easy removal of cobwebs from any hard to reach place. Stores away neatly. All purpose cobweb remover for ceilings, walls, pelmets, eaves and cornices. Extendable handle to 1.3m. Soft grip for comfortable use. Cleans ceiling fan blades plus ceilings, walls, eaves and cornices. Extendable handle to 1.3m. Ergonomic soft grip handle.